This breathtaking 4 Light Flush Mount with Satin Nickel Finish is a beautiful piece from our Renishaw Collection. With its sophisticated beauty and stunning details, it is sure to add the perfect touch to your dicor. The Contemporary Beauty Collection is well known for quality, style and value; this contemporary flush mount is no exception. Expertly pairing a charming satin nickel finish and energy saving halogen bulbs, this fixture is both functional and picturesque. This well-rounded flush mount is sure to satisfy your indoor lighting needs. 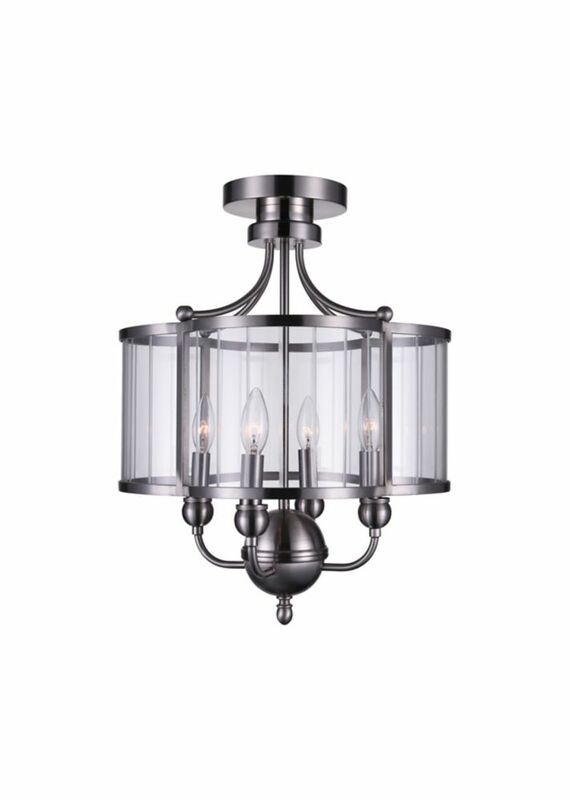 This breathtaking 2 Light Flush Mount with Satin Nickel Finish is a beautiful piece from our Checkered Collection. With its sophisticated beauty and stunning details, it is sure to add the perfect touch to your dicor. Renishaw 16-inch 4 Light Flush Mount with Satin Nickel Finish This breathtaking 4 Light Flush Mount with Satin Nickel Finish is a beautiful piece from our Renishaw Collection. With its sophisticated beauty and stunning details, it is sure to add the perfect touch to your dicor.